Sharon Centracchio, B.S., M.S., J.D. ​My mission as a Bankruptcy Attorney is to provide my clients with personal and individualized attention. Too often, attorneys view their clients as a "case" rather than a person going through a difficult situation. Bankruptcy Solo, LLC was founded on the principle of providing people with a fresh start and relieving them from the burden of debt. As such, I only practice bankruptcy which allows me to give my clients the attention they deserve. I have helped numerous people in St. Charles and St. Louis Missouri attain debt relief through bankruptcy. Prior to starting Bankruptcy Solo, LLC, I served as an Administrative Law Judge, worked for the Missouri Department of Social Services in both the Division of Family Services and the Division of Child Enforcement and served as an Officer for the Missouri Department of Corrections - Probation and Parole. I also successfully managed a private law practice - Centracchio Law, LLC. On a personal note, I enjoy spending time with my husband, son and dog. My hobbies include biking, gardening and reading. I am also a volunteer for Five Acres Animal Shelter, the Lupus Foundation of America and Harvester Christian Church. 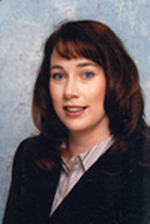 "Sharon is a serious, fair, experienced, knowledgeable and dedicated bankruptcy attorney. She made sure that I understood my rights, obligations, and possibilities under the Chapter 7 proceedings that we selected for my financial needs, and generously provided me with answers to to every single question I've had. She's one of the best lawyers I've had the pleasure of doing business with in my entire life." "Sharon is very knowledgeable and answered all my questions. She is very friendly and really took the time know my case. She handled my case with priority and did an excellent job. Other lawyers should take a lesson. Top notch service, thank you! " "Bankruptcy Solo did my Bankruptcy a while back. Now I am Debt free and have a positive cash flow. I recommend Bankruptcy Solo to anyone that wants to get out of debt quickly, and be treated with dignity in the process." "Assisted me with a traffic ticket my son got while involved in an auto accident. It was handled superbly and for a very reasonable fee given the circumstances. Communication was great throughout and could not be happier with the outcome. Would recommend to anyone looking for quality and honest legal assistance." "Sharon is extremely knowledgeable about bankruptcy law and took the time to answer all my questions and address my concerns. I would recommend her to anyone looking for a caring and compassionate attorney."